We're UK distributors for many of the world's most innovative car accessory manufacturers, sourcing specialist products that come under the broad headings of "load carrying stuff", "interior car protection", and "tyre traction"; we also trade at the subtler end of the car styling market. Each product group has its own Home Page, with details of Special Offers. Check out the Bargains pages if you're looking for cheap overstocks, end of range items, damaged or returned items - they're always sold very cheap. 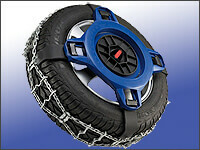 We're UK distributors for Europe's most innovative snowchain manufacturers - Maggi, RUD, Spikes-Spider. The Swiss Spikes-Spider is the fastest fitting chain available with fittings for almost every vehicle, including cars where traditonal snowchains can't be used. Uniquely, the SPORT can be resized to fit just about every tyre size, providing long term value. Their new ALPINE PRO (pictured) is ideal for big 4x4s and light commercial vehicles and also works extremely well on grass and in mud. RUD is Europe's biggest car snow chain makers and supplies snowchains to most of Europe's most prestigious car makers. We supply all their own brand snowchains. The easy2go is their mid market snowchain, easy to fit and with a "continuous tensioning device" so once fitted you don't have to stop again to retension. If you're at all concerned about driving on ice and snow then check out this link. 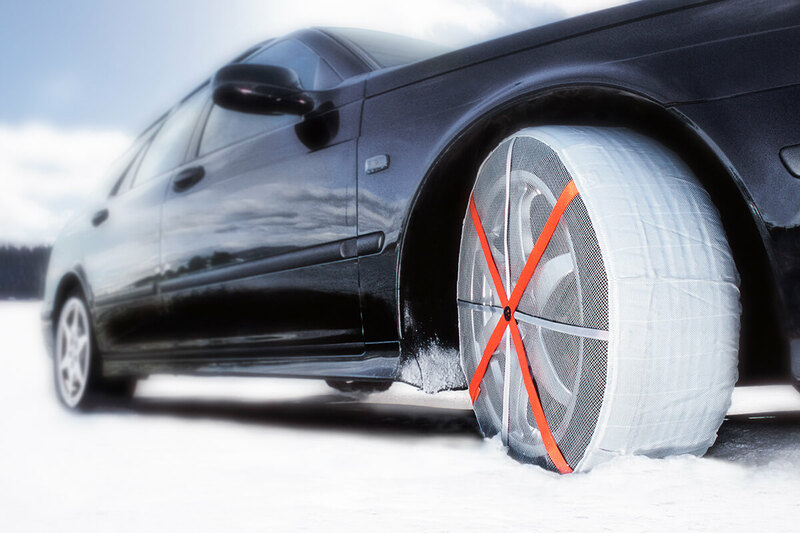 AutoSock snow socks will get you down to the main roads, get you to important meetings, get you home. They're small, lightweight, a doddle to fit. Leave a set in the car all year so you have them when you need them. AutoSock for Trucks are now available for all popular tyre sizes, at Summer Sale prices. Keep your business moving by keeping a set in each cab, or at the very least keep a few pairs at your distribution depot. Click here for information. For dogs or cats: We sell a range of folding steel dog cages and fabric dog crates, but don't visit this section without checking out the Dog Bag range which we think is the best travel system for both dogs and their owners. Dogs appreciate the warmth and comfort provided by the textile sides, with more privacy and better sun protection. Owners like the way that their pets settle down quickly, as well as the relatively small 'footprint' of the Dog Bag, leaving boot space for the luggage. 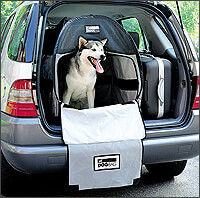 Other pet carriers include Pet Tube, and Jet Set (ideal as a cat carrier). A major contribution to family safety: Your car may have crumple zones, side impact protection, and airbags all round. But what's to protect you from being seriously injured (or worse) from a frozen chicken in the boot, flying forward at 40mph? 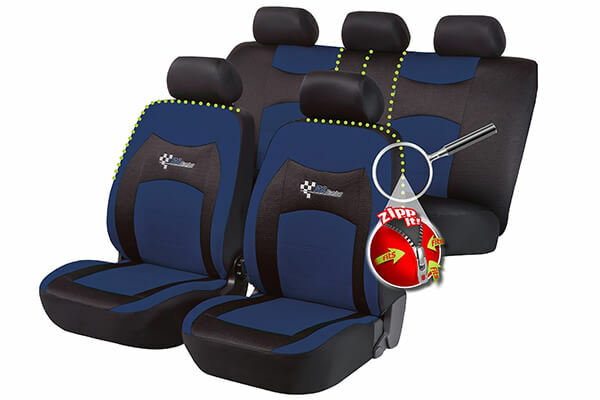 If you haven't got a TÜV approved safety guard behind the rear seats, the answer is "Nothing". 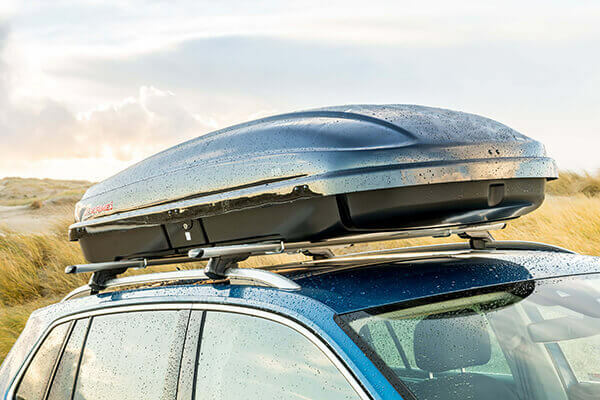 Check out "What fits my car?" 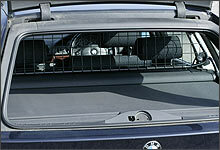 to see if there's a MasterLine dogguard for your car. It will be cheap at the price. Although the BICE WalkyGuard has not been formally tested as a safety guard, the fact that a strong all-welded steel guard is securely fastened behind the rear headrest posts should be a considerable comfort. 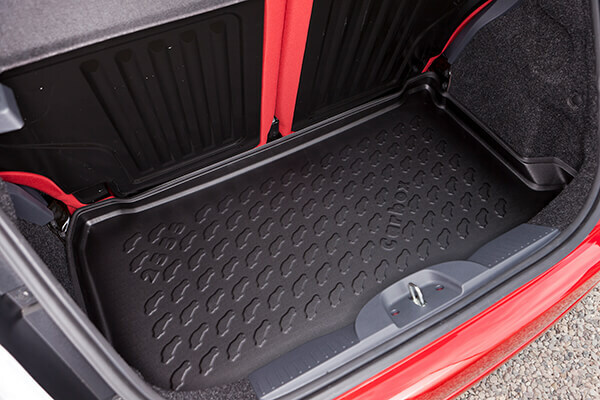 The dangers posed by objects thrown forward from the boot of a vehicle tend to be underestimated. 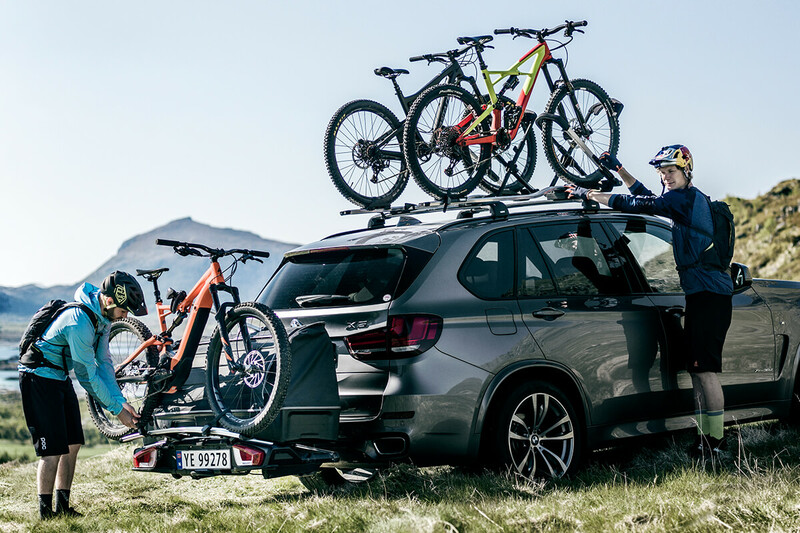 The most innovative tow bar bike rack we've ever seen, for 3 to 4 bikes. 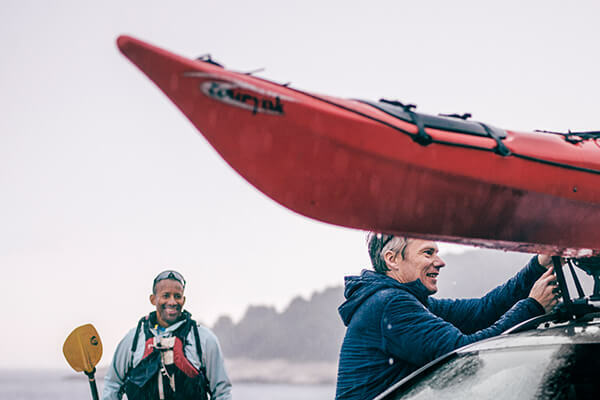 It slides away from the tailgate, supporting the weight of the bikes, and is also small enough to placed in the boot when not in use - just what you need when parking on the street or in town car parks. 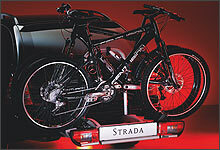 A 2 to 3 bike rack version is also available. Comes with UK legal foglights! 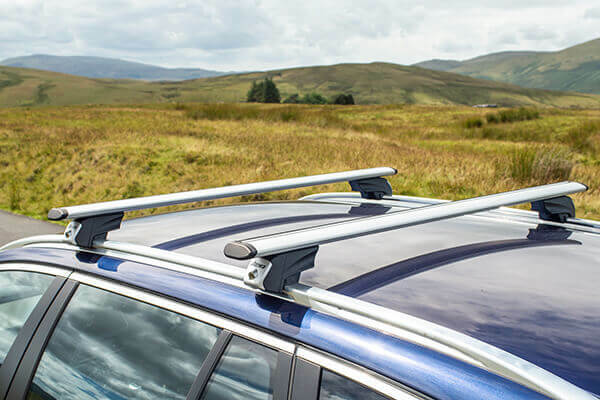 VAN-RACKS is the part of our business which specialises in commercial and heavy duty roof bar systems, roof racks and other accessories - light commercial vehicles have specialist roof bar and roof rack requirements. 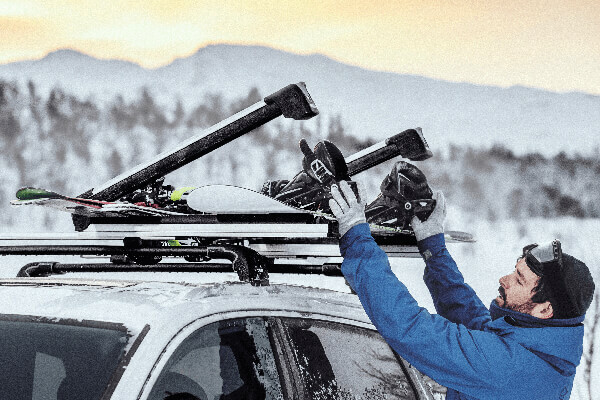 We supply the full range of gear from Saunders, Rhino Products, CRUZ Commercial and Thule Professional. 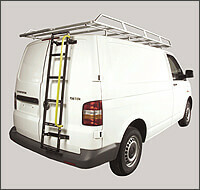 Visit www.van-racks.co.uk for further information.